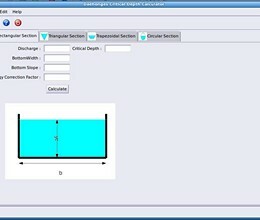 This is an application for calculating critical depth in open channels flow. Open channels hydraulics is very important part of hydraulic and civil engineering. Finding critical depth in open channel flows is a basic task in this field. Rectangular : critical depth will be computed using explicit formula. Triangular : critical depth will be computed using explicit formula. Trapezoidal : critical depth will be computed using Newton method. Circular : critical depth will be computed using try and error method. 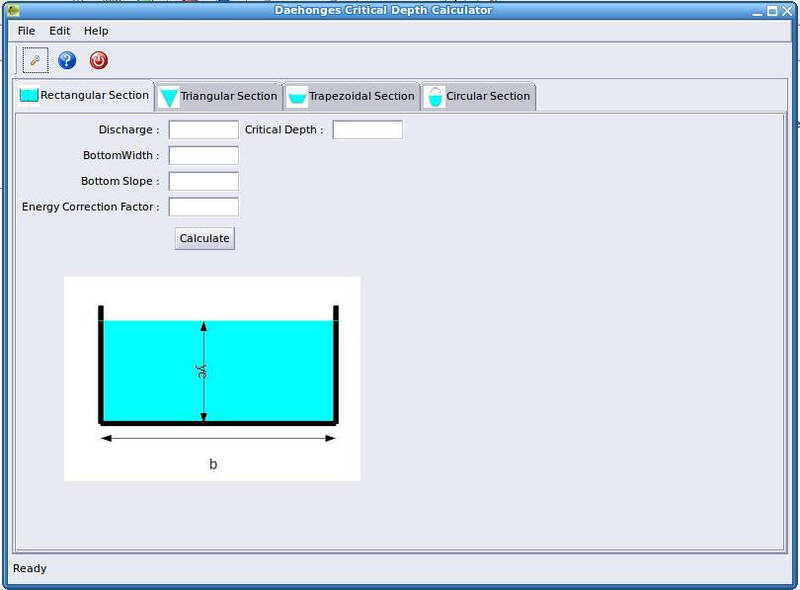 * Critical Depth Calculator in Open Channel Flows download link provides gnu general public license version of the software. Critical Depth Calculator in Open Channel Flows has been rated 1.5 out of 5 points. A total of 2 votes cast and 0 users reviewed the software.